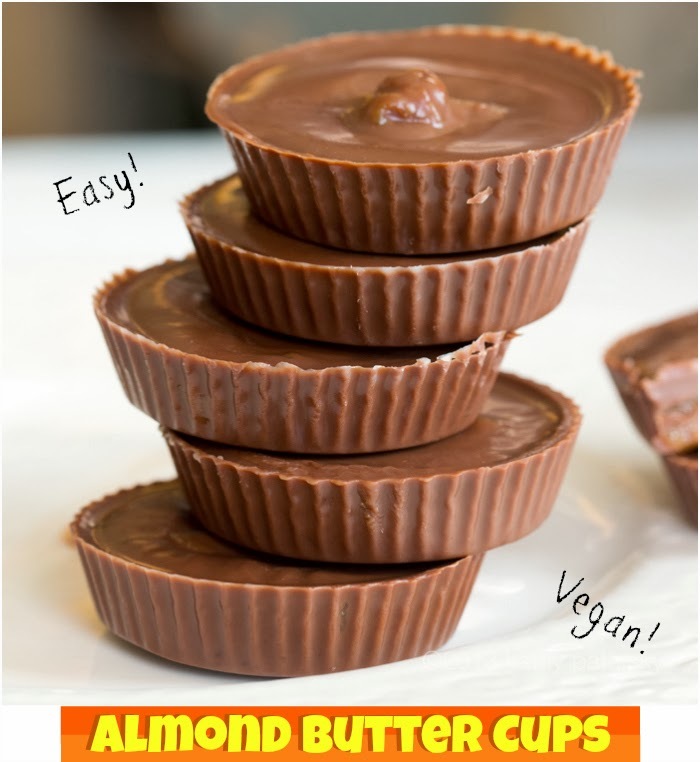 Home » vegan » Easy Vegan Almond Butter Cups! Easy Vegan Almond Butter Cups! Comments Off on Easy Vegan Almond Butter Cups! These super easy, vegan almond butter cups can be made in 15-20 minutes and with just four simple ingredients. So you can indulge in your favorite Halloween candy treat without all the refined sugar and animal products like dairy. Plus these coconut-oil infused cups are silky, velvet-y and decadent with their rich dark chocolate coating and silky-sweet nut butter filling. Anyone can make these. Seriously, no kitchen skills required! Just grab the ingredients and GO. I even have a helpful video included in this post. Easy Vegan Almond Butter Cups!.